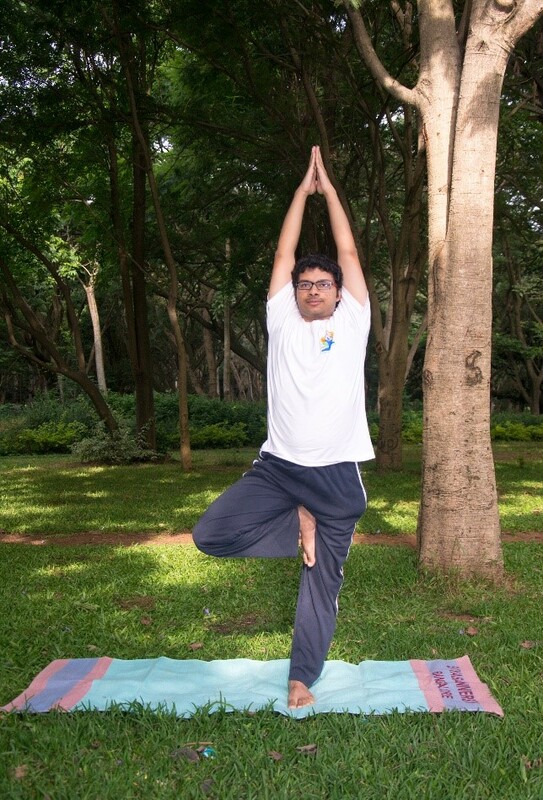 Standing asanas or standing postures are performed while standing on the feet. After having learnt various things from the basics of Yoga, we are now diving into the hard-core part of it. Let us now dissect a few standing asanas, one by one. I shall explain each in a comprehensive manner i.e. its name, meaning, type, the procedure to perform (along with the breathing pattern to be undertaken), the benefits, and its limitations. Wherever required, I shall give some additional notes specific to the asana. Let us start off with the first one, Ardha Kati Chakrasana. 1. Inhale – Slowly raise your right hand up to the shoulder level. 3. Inhale – Take your right hand above the head, biceps touching the ears. 4. Exhale – Bend to your left side, look at your right palm. Note: You must bend laterally, and not forward or backwards. 5. Inhale – Take your right hand above the head. 6. Exhale – Release your hand up to the shoulder level. 7. Inhale – Turn your palm towards the floor. 8. Exhale – Release your palm. 1. Reduces fat around the waist. 2. Stimulates sides of the body. 4. A good way to warm up the body. 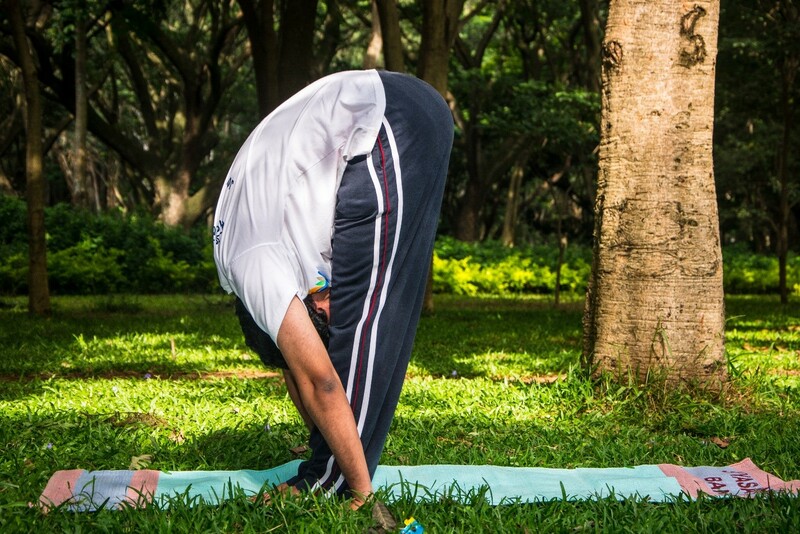 Limitations: – Anybody can do this asana, there is no specific limitation. Perform the complimentary asana on the other side. 1. Inhale & Exhale – Take both your hands & keep it on your waist region. Inhale & Exhale – Take your hands down to the Tadasana Sthithi. Note: Do not overstretch in this posture by any means. It will have a direct impact on the backbone and the spine. Bend backwards only as much as the body permits. Say, for example, you may place the hands on your hips and just relax as you recline backwards. Do not try as shown in the picture without proper guidance. 1. Makes the spine flexible. 2. Stimulates the spinal nerves. 3. Promotes circulation of blood to the head. 4. Strengthens the neck muscles. 5. expands the chest & the shoulders. 1. People with the cardiac problem, abdominal surgery, & vertigo problem must avoid this posture. 1. Inhale – Take your hands horizontally up to the shoulder level. 2. Inhale – Take your hands above the head, biceps touching the ears, & elbows straight. 3. 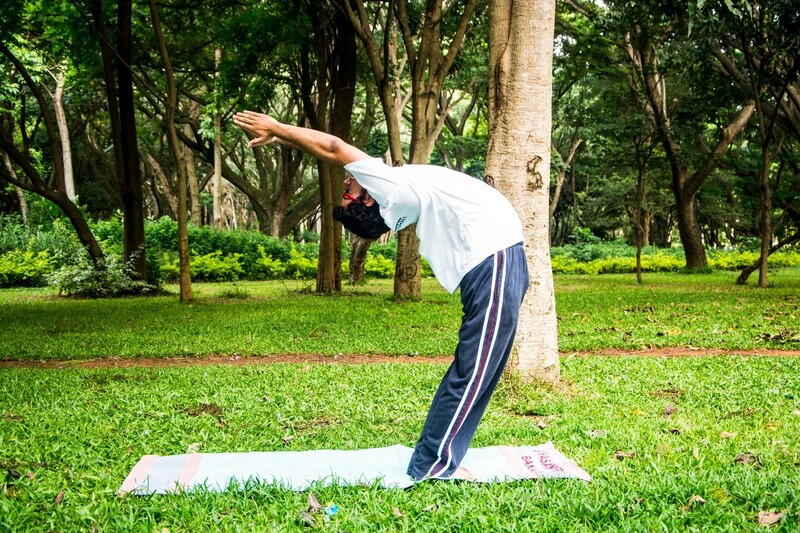 Exhale – Bend forward so as to bring your body parallel to the ground. 4. Exhale – Bend down completely; bend from the root of your back; forehead touching the knees, & place palm on the ground. 5. Inhale – Come up to make your body parallel to the ground. 6. Inhale – Come up further & stand straight. 7. Exhale – Slowly release your hands up to shoulder level. 8. Exhale – Release your hands completely. Note: Do not overstretch in this posture by any means. It will have a direct impact on the backbone. Bend forward only as much as the body permits. Say, for example, you may place the hands on your knees. Do not try as shown in the picture without proper guidance. 1. Reduces the abdominal fat. 2. Makes the spine flexible. 5. Enhances blood flows to the head region. 1. People with vertigo problem, spondylosis, slip disc, cardiac problem, & severe gastro-intestinal problem must avoid this posture. 4. The fourth and the final asana for this article. 1. Inhale & Exhale – Take your right leg & place it on your left thigh. 2. Inhale – Take your hands up in Namaskara Mudra. Biceps touching the ears, & elbows straight. 3. Exhale – Release your hands. 3. Strengthens and tones the entire leg. 6. Builds self-confidence and esteem. 1. People who have undergone recent abdominal surgery must avoid this posture. 2. People with severe knee pain may also avoid this posture. 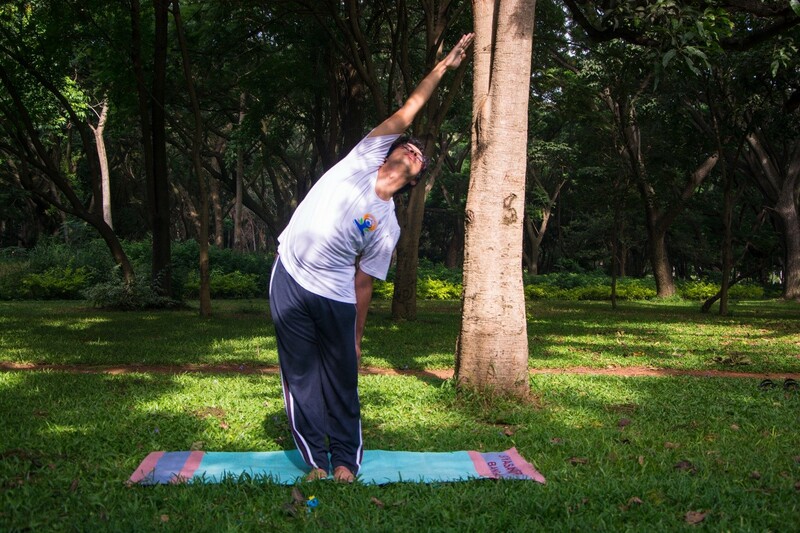 Note for the asana: As the name itself suggest, this asana is called the tree posture. 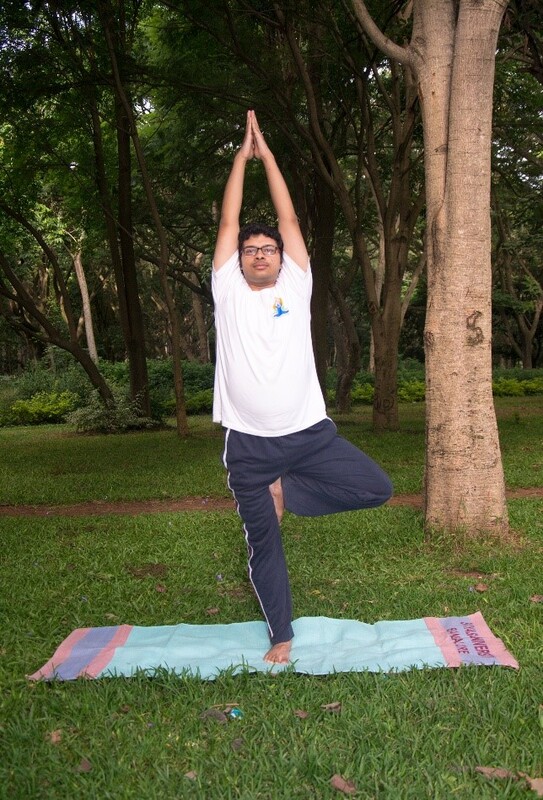 Just like how, many asanas take archetypal images from nature, so does this one. We represent the tree outside within us. This brings about a sense of oneness, stability, strength, and increases our attention. Hope this article was of some use to my readers. 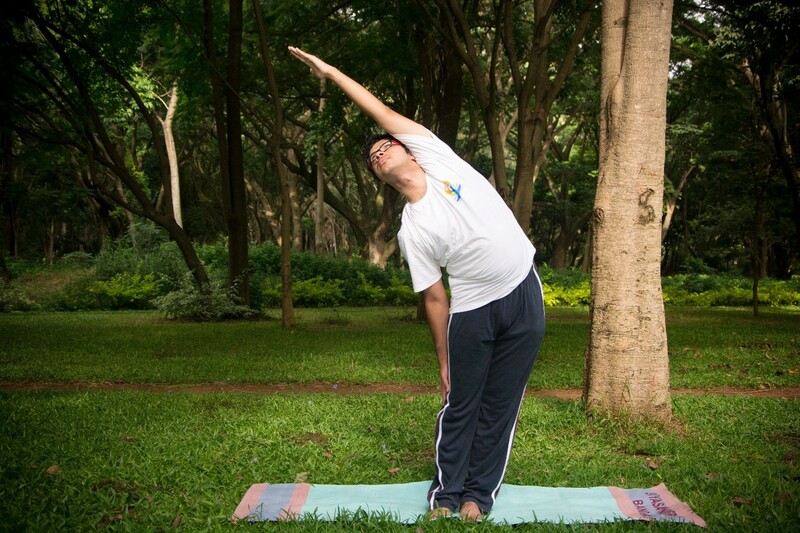 In the next article, I shall come up with another four standing asanas.